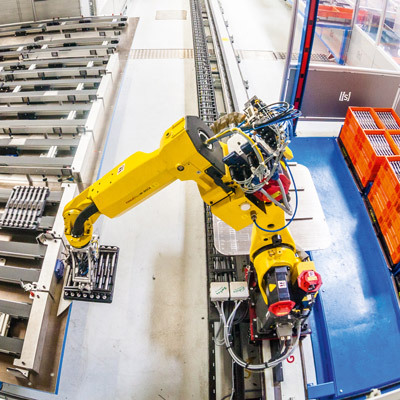 When it comes to motion control for Cartesian coordinate robots, CNC makes a great alternative to PLC. 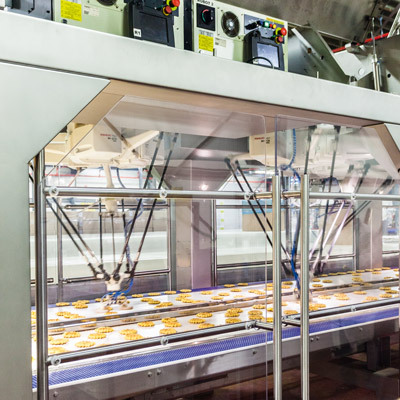 More versatile and cost effective than PLC, CNC control is ideally suited to a wide variety of industrial applications including adjustable parts holding, picking and placing, palletising and packaging. 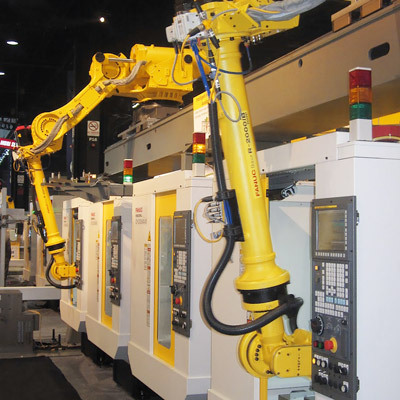 Capable of supporting multi-path axis interpolation, it provides precise control on machines such as presses, loaders, stamping machines, wire saw, winding or filling machines. Thanks to excellent torque control, CNCs offer huge advantages on applications requiring constant tension such as winding. By controlling the feed and winding axes independently, CNCs are able to maintain a consistent tension at all times. The advantages of CNC motion control really start to make themselves felt on setups involving 10 to 20 axes. 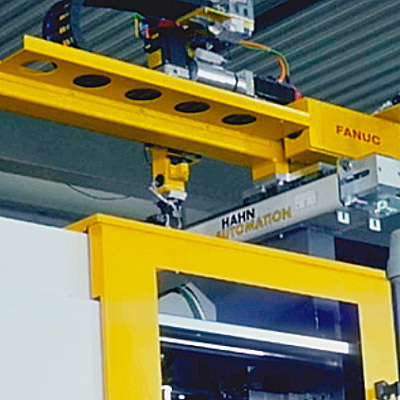 Only a dedicated motion control CNC can provide the fast synchronisation required for punch and rail movement on production lines comprising, for example, one or two loaders and a machine. In scenarios like this, being able to manage material handling along the entire line with only one control represents a huge benefit. Unlike a PLC, anyone who can program a CNC can do the programming on general motion applications, including axis and motor control. Motion control is not just cheaper and more versatile than other solutions - sometimes it's also faster. Using a CNC for motion control makes programming much easier since CNCs use straight motions and not the complicated circular motions you would normally be required to program. The time savings are massive too, with setup times plummeting from one week to just a day on most applications.